Smith Wigglesworth was an evangelist from West Yorkshire, who dared to believe that all things are possible. He affected the Pentecostalmovement worldwide more than any other individual in the 20th Century. He brought in a multitude of souls for Jesus and signs and wonders would follow wherever he preached the Gospel. Smith Wigglesworth "Only Believe" DVD was published by Hatikvah Films in October 2016 and is our 1938th best seller. The ISBN for Smith Wigglesworth "Only Believe" DVD is 5065001628092. 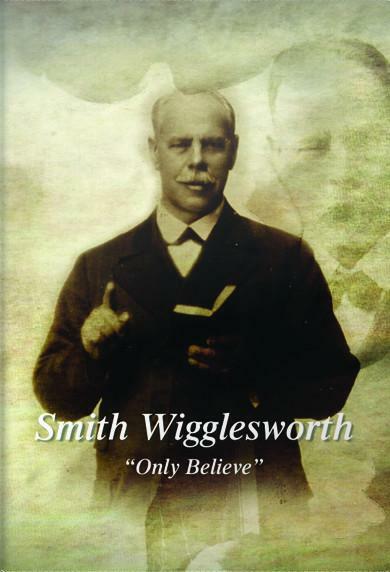 Be the first to review Smith Wigglesworth "Only Believe" DVD! Got a question? No problem! Just click here to ask us about Smith Wigglesworth "Only Believe" DVD.